It’s back! “Chicago’s Greatest Cocktail Competition” is just around the corner. If you’d like to compete, please see the rules and requirements listed below. The deadline to apply is Monday, September 10th at midnight. All cocktail recipes must be submitted by Monday, September, 10th at midnight. 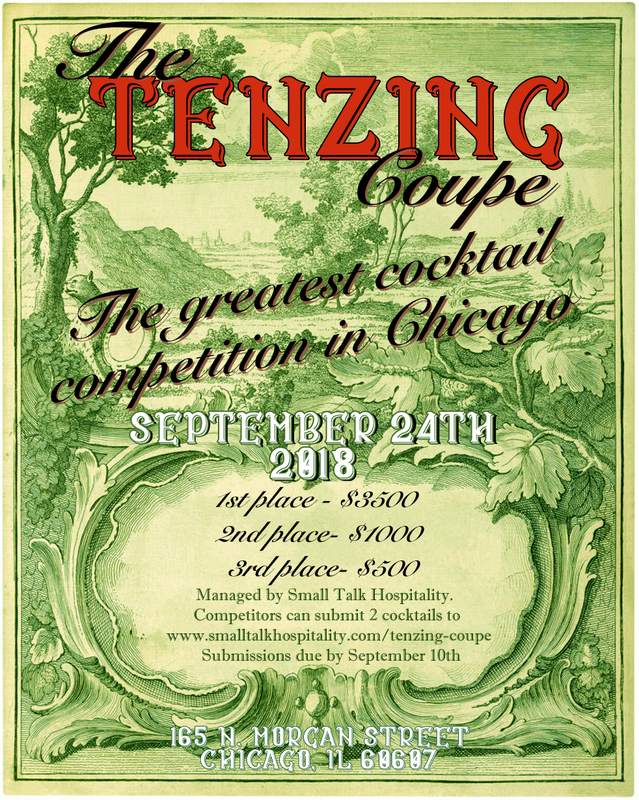 Cocktails can be submitted through the application link provided at www.smalltalkhospitality.com/tenzing-coupe. Any submissions received after midnight will not be considered to compete.